“Wanderer Book Four remains tucked up and untouched to allow me some space before I do a complete re-read and edit. The current plan is to pick it up again at the start of May. “The question I know most of you are asking is… when will Wanderer Book Four be out. Well the image below answers that… roughly. All timings are estimates but it’s looking like a mid September release. Wanderer – But Jess is a Girl’s Name! 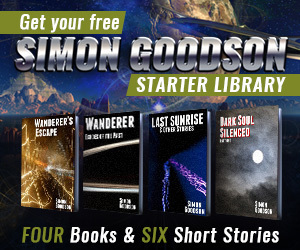 “Something that’s rattling around my head at the moment is to try out publishing Audiobooks – initially for Wanderer’s Escape and then, if that’s successful, for the rest of my books. “One really cool thing about having become a reasonably successful author is… well the fact that I have managed to make it to being reasonably successful!